[CHORUS: Emtee] Thina asilali We be working all day long Re pusha spani We ain’t plain no games Abacavi mgani We light up the party mgani Sjaiva kuze kuse nabanganbam Sjaiva kuze kuse nabanganbam We don’t want no stress [Verse 1: Fifi Cooper] Yeah ke tshwere mageng’ kaofela Spane sa tswela all day ra tshela Ha o batlo shela o saba re sheba Re tsena ka fa le ka fa Batla letseno fela Yeah we ain’t gotta party no more We body the floor re zama go pusha qo! Spani se top Watch me shun don’t talk Ke feta le di groot man ke chilla on top Bare what’s my name? 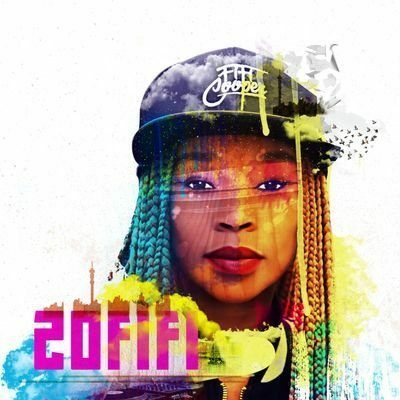 Fifi Cooper Only queen in the game ka skill sa go tura Im too cool mara shaba ska nthula It’s about time ke simolla go le ruta [CHORUS: Emtee] Thina asilali We be working all day long Re pusha spani We ain’t plain no games Abacavi mgani We light up the party mgani Sjaiva kuze kuse nabanganbam Sjaiva kuze kuse nabanganbam We don’t want no stress [Verse 2: Fifi Cooper] We don’t want no stress man, I told ya Mama this mama that it’s a dream tsoga Best believe I’m the queen watch me take over Either you just follow me ketle go go tsusa Look at that dude over there wa re jura but neh Fifi Coo kante neh Busy hating on me cause ka di killer the stax We do what we do cause that’s what we do best yeah kena le mageng a minaeza Ha o re phaphela ra go sheba ra go miza Re tsoga phakela re tabogisitse Gauta Fela we don’t sleep ga ra tlela go itaola [CHORUS: Emtee] Thina asilali We be working all day long Re pusha spani We ain’t plain no games Abacavi mgani We light up the party mgani Sjaiva kuze kuse nabanganbam Sjaiva kuze kuse nabanganbam We don’t want no stress. We body the floor re zama go pusha qo! We don’t want no stress.